Hey guys its Aero and im submitting my application to be a mapper.I really want to be a part of all you mappers.Besides i have a few maps in my arsenal.im ready to post my work in progress not only in the maps of the masses section,but in my own active developer topic. and basically its just a store that you stay near and you fend off the zombies there. Hopes yous injoys mys mapszz! P.S. if you guys reject it,thats okay, that just tells me i need work on my map and when its better,i can reapply. K, if it were up to me (Which it is) I would have made you a dev. However, I need to wait and see what the other admin think too. Just be patient a little longer, k? where the hell is scoballa at? @zAeroXYZ123 wrote: where the hell is scoballa at? Friizy and Mabuse are busy with non-NZP stuff. I know Mabuse has a job a Girlfr.iend, so his time on here is not as frequent. nothing special, but why does every mapper I see on here leave floating barricades on the map. 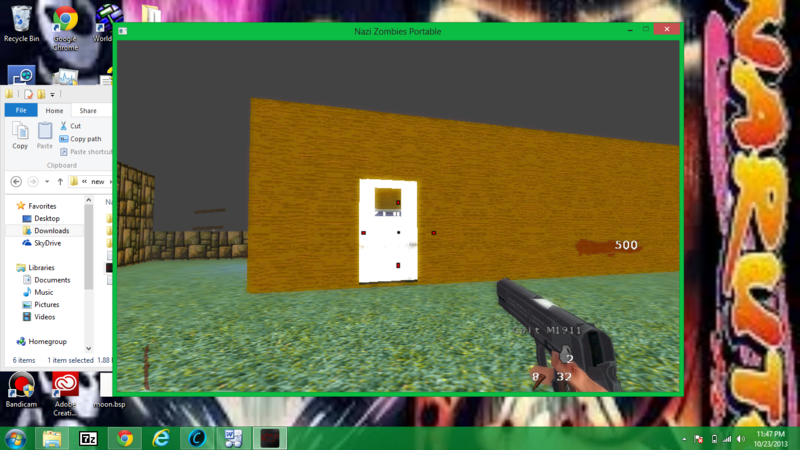 i messed up an i tried to assign the zombies to spawn into the room below by two doors,but it didnt work. It needs allot of work, lighting, textures, proportions, and much other stuff. Work a bit on your skills before applying, it seems now it's just slap a map out for an application and hope for the best. For now, it's a no from me. Scobalula wrote: It needs allot of work, lighting, textures, proportions, and much other stuff. I'd also say no, until you make improvements. Looks too dodgy at this point in time.